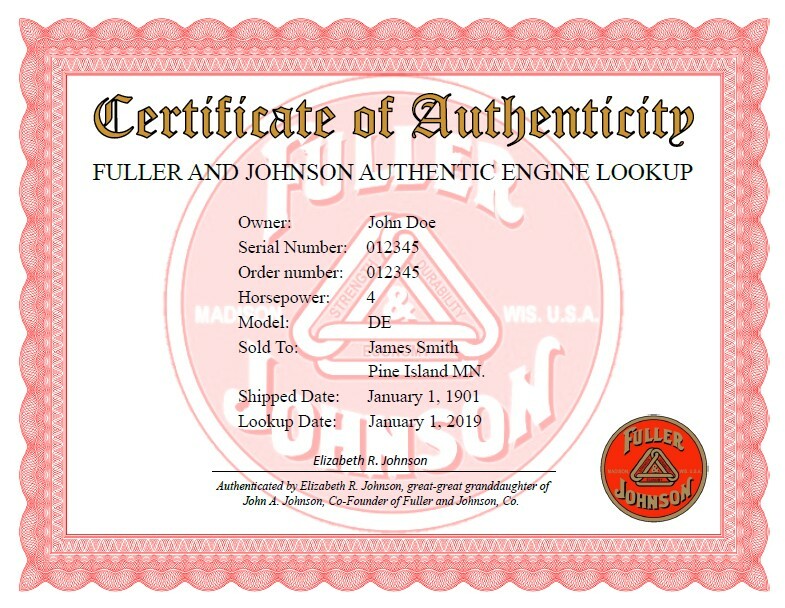 Get your Authentic Engine Lookup Certificate! We ask for a $10.00 minimum donation to help defray the costs in this endeavor. and she will get the process started!